A well-rounded multipurpose lube will also possess some cleaning properties, to better aid lubrication and corrosion protection. 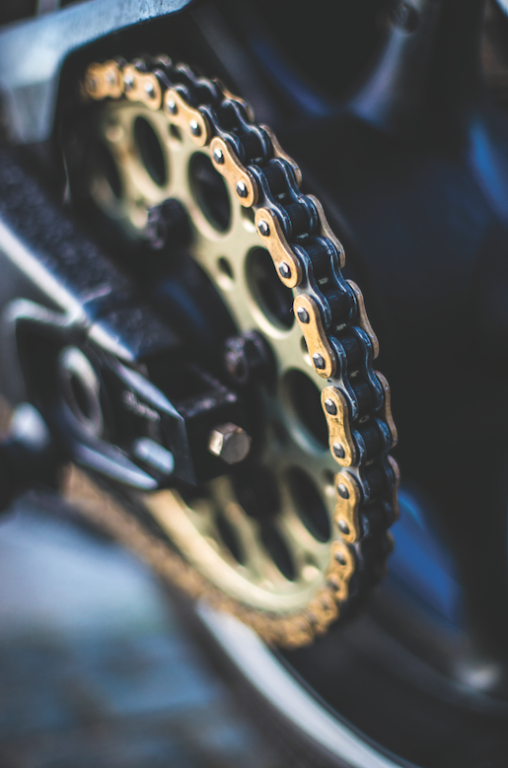 Although bicycle chains are often seen as the go-to component for multipurpose lube applications, if you’re a serious cyclist, you’d be better off using a more purpose-specific product, such as Qbike, which is a wax-based ‘dry’ lube. 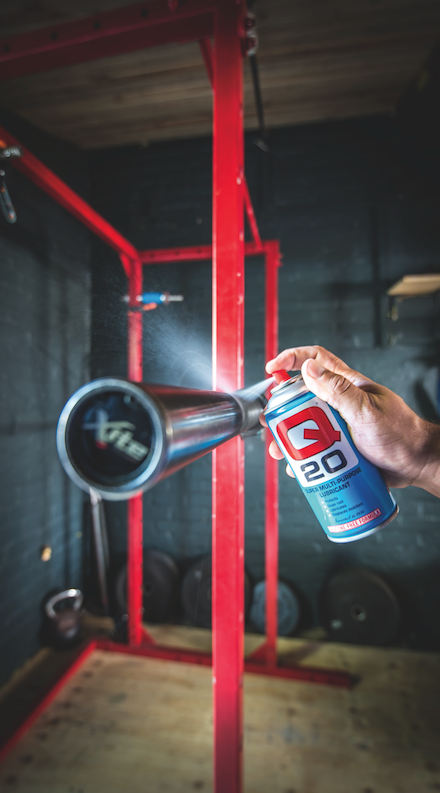 From displacing water inside a distributor cap to protecting home gym equipment from corrosion, a good multi-purpose lube has numerous applications. Most of us are familiar with the phrase, ‘Jack of all trades (and master of none)’, and although this figure of speech is meant as a negative, is it really such a bad thing? In team sport, all-rounders often make great captains, as they’re able to view the game from various angles. But a captain also needs to possess multiple skill sets, which include good communication, leadership, mentoring, motivation, and the ability to problem-solve. Unquestionably the most common reason for buying a multipurpose oil in the first place, is for lubrication. Whether it’s for a squeaky garage door or a seized-up padlock, most households possess at least one variation of a multipurpose oil. While these products are perfect for their general use and application, the flip side to most multipurpose lubes is that they’re primarily oil-based, and most oils do not possess anti-static properties. So, what is anti-static? Simply put, it is the ability to repel dust. In fact, generally speaking, oil has a tendency to attract dust, which, in time, leads to the contamination of the lube. For this reason, the biggest draw-back of most multipurpose lubes is that they need to be applied often. Unfortunately, the answer to that isn’t straightforward, as it greatly depends on the component’s working environment and how much dust and heat is present, as well as how many cycles the component performs in a day. Typically speaking, you shouldn’t expect a multipurpose lubricant to last much longer than six months, and again, that will depend on the environment. In many cases, you would have to reapply lube much sooner than that. 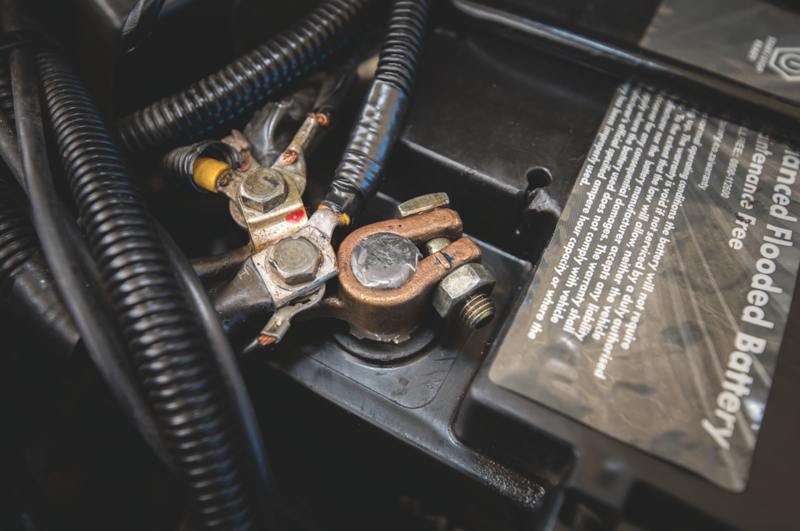 Either way, the important thing to remember is that multipurpose lubrication is typically a short-term solution that needs regular attention. Then, even more important is that the old lubrication must be removed before applying any new lube. On that note, we move on to this important topic. As mentioned in part one of this series, the biggest lubrication mistake people make is to apply new lube on top of old lube. 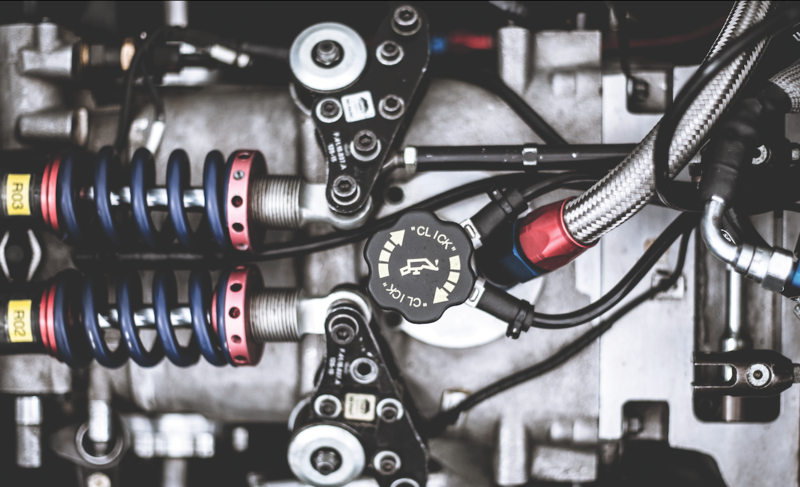 This will not only increase how often you need to apply new lube, but will also reduce the effectiveness of the lubricant – potentially leading to premature component failure. Fortunately, some multipurpose lubricants feature a mix of additives that help clean the component as well as lubricate it. This is why you’ll often read the instructions ‘Apply liberally’ on a can of lube. However, although it’s beneficial to use a multipurpose lubricant with cleaning properties, you shouldn’t rely solely on the lube’s ability to ‘blast’ off dirt. Special attention must still be made to carefully remove any contamination before applying a fresh coat of lube. This is another vital feature of most multipurpose lubes, merely because the application of the oil is often intended for hard-to-reach places. Although this is typical of a seized bolt and nut, or a bearing that’s partly corroded on to its shaft, there are countless scenarios in which the penetrating properties of a multipurpose lube come into play. So, what are those properties? Well, again, it’s a matter of give-and-take. Technically speaking, a thinner oil is going to penetrate better than a thicker oil. The downside to this, however, is that thinner oil generally has a tough time sticking around, and tends to wash off more easily. It may also be less effective as a lubricant, given its lower viscosity. Although these points may seem like common sense, there are variations. This is because various additives can affect how well a multipurpose lube penetrates while facilitating its lubrication properties. Likewise, some oils have the ability to dispense as a thin liquid, but are then able to react with the air and become progressively thicker. It all comes down to what ‘recipe’ is used in the make-up (and the additives) of the multipurpose lube. Above: A well-rounded multipurpose lube will also possess some cleaning properties, to better aid lubrication and corrosion protection. In many respects, corrosion protection refers to the ability of an oil to leave a thin layer (or film) that safeguards the component against air and oxidation. As we’ve mentioned – in the long term, thicker oils are generally better than thinner oils at doing this job. However, some thinner lubes may use a wax-based additive or petroleum jelly that allows the oil to cling better to the component’s surface. And, much like you’d find with lubrication, almost all multipurpose lubes need to be applied often (at a maximum interval of six months) to provide proper protection against corrosion. There are two primary ways in which a multipurpose lube displaces water. It either leaves a film that coats the component and prevents moisture contact, or the oil itself is heavier than water and displaces it that way. The ability to displace water plays a fundamental role in corrosion protection, but lubrication also has other uses, particularly in the case of electrical insulation. 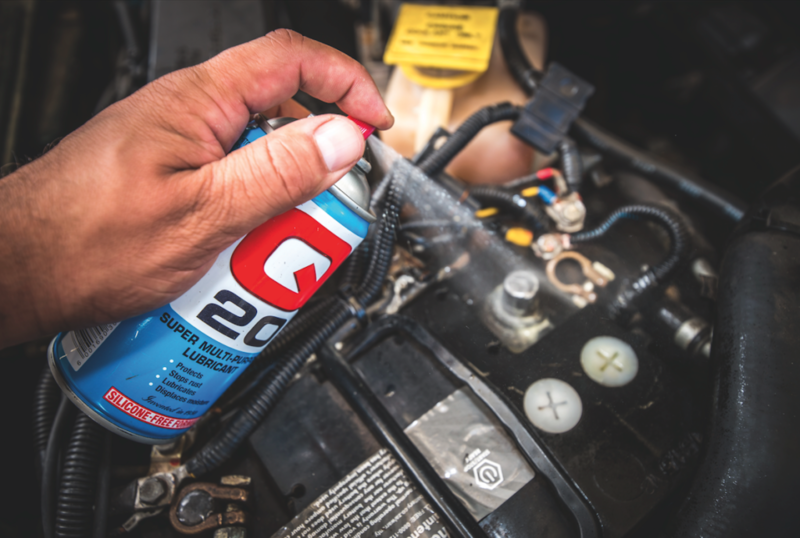 In fact, the South African lubricant Q20 was created by William Robertson, who designed the lube in 1950 for the purpose of displacing water in the distributor caps of VW Beetles. 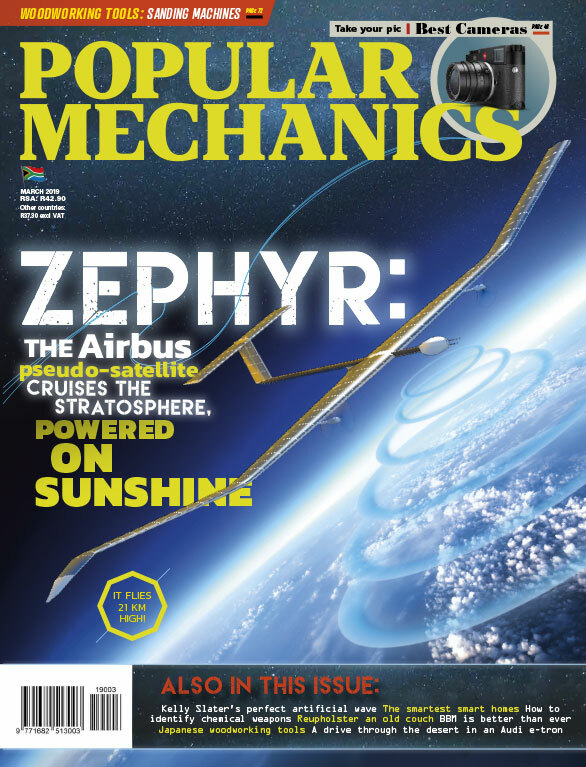 Today, almost 70 years later, that formula is still being used by mechanics and auto electricians for similar purposes. to remind them of the second half of that saying: ‘but oftentimes better than a master of one’.